The parties that you choose to do business with may not follow the same rule of law or ways of engaging. A lack of transparency and operating across different jurisdictions can amplify economic and national security risks and make them harder to predict. International business and engagement are valuable ways of growing your business and bring innovation, development, and employment to the UK. These questions should not be a barrier to you doing business. However, any decision you make should be well-informed with an awareness of the security risks. They will be equally relevant to you whether you are operating in the UK or overseas. 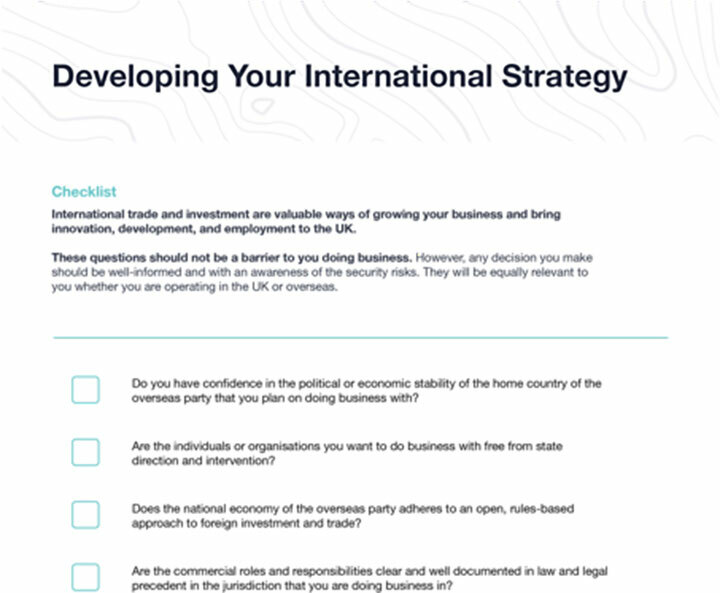 Here are a few areas for consideration when you are developing your international strategy. The economic and political stability of the home state of the party that you plan on doing business with is important. All investors need to proactively manage stakeholders interests as a part of their deal strategy. This can be increasingly hard to do if you are engaging with parties who operate in a quickly changing and unpredictable policy environment, or if they are likely to be subject to strong state intervention. Do you have confidence in the political or economic stability of the home state of the overseas party? Are the individuals or organisations you want to do business with free from state direction and intervention? China’s top legislature, the National People’s Congress (NPC) passed the National Intelligence Law in June 2017. The new legislation allows Chinese intelligence agencies to compel Chinese organisations and individuals to carry out work on their behalf and provide support, assistance and cooperation on request. 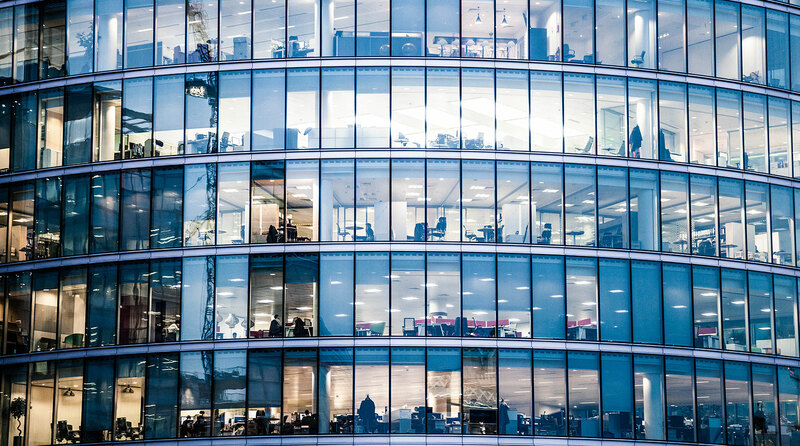 This may affect the level of control you have over your information and assets as you engage with Chinese individuals and organisations, especially if you work in an area that is of interest to the Chinese state. Most advanced economies have long adhered to an open, rules-based approach to foreign investment. However the rules for what information is openly available and shareable may differ country by country. This could include how much information an individual or organisation is compelled to share with the state. Does the home state of the overseas party adhere to an open, rules-based approach to international business? Are you confident that the home state of the overseas party will not compel individuals or organisations to share sensitive information on request? The System of Operative Search Measures (SORM) is Russia’s legal intercept capability, which is administered by the Russian Federal Security Service (FSB). All communication service providers (CSPs) operating in Russia are obliged to install equipment to enable the FSB to monitor communications. The FSB can use SORM to monitor communications transmitted to, within, and out of Russia including voice calls, text messages, social media, web browsing and metadata. The FSB is not obliged to provide CSPs or commercial companies with any details of their monitoring of SORM. This may mean that you are unaware of how your sensitive communications and information is used outside of your commercial engagements in Russia or with Russian individuals and companies. Each country will usually impose strong directors’ duties and responsibilities and clearly outline how an entity can and can’t operate. This may be different to the rules of operating in the UK. The roles and responsibilities can also be shaped by the cultural context of where you are doing business, and may not always be obvious. Are the commercial roles and responsibilities clear and well documented in law and legal precedent in the home state of the overseas party? Are you aware of the relevant non-legal, cultural protocols in relation to doing business with the overseas party? If something does go wrong, you will need to be aware of remedies available to you in the country that you are doing business. Enforcement of foreign judgements and arbitration awards are critical to the protection of foreign investment rights. At times, your right to fair and equitable treatment may be captured in lesser-known treaties. Regardless, do not assume that the protections in UK law will automatically apply, especially in relation to intangible assets such as intellectual property. Does the home state of the overseas party have a fair, equitable and non-discriminatory regime for remedies? 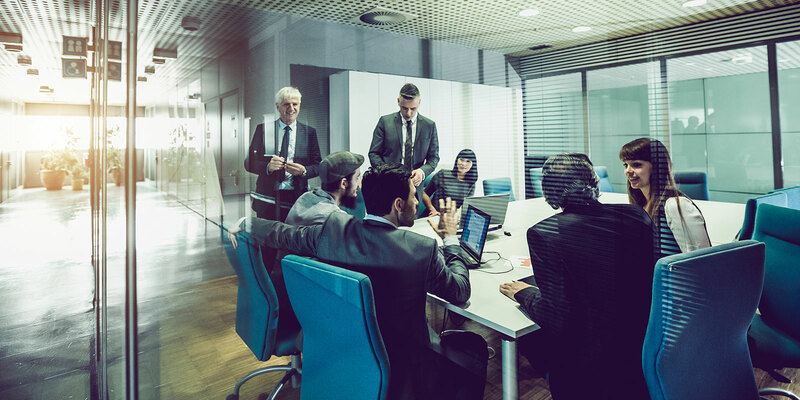 Are your assets (such as your people, intellectual property, data, IT networks and operational systems) effectively protected when engaging or doing business with the overseas party? These considerations will highlight areas where you may need to do further work as a part of your due diligence. It is important to confirm that the decisions you are making will protect your commercial interests in the long term and not adversely impact UK’s national security. In addition to advice from lawyers and security experts, here are some places you can go for further information.